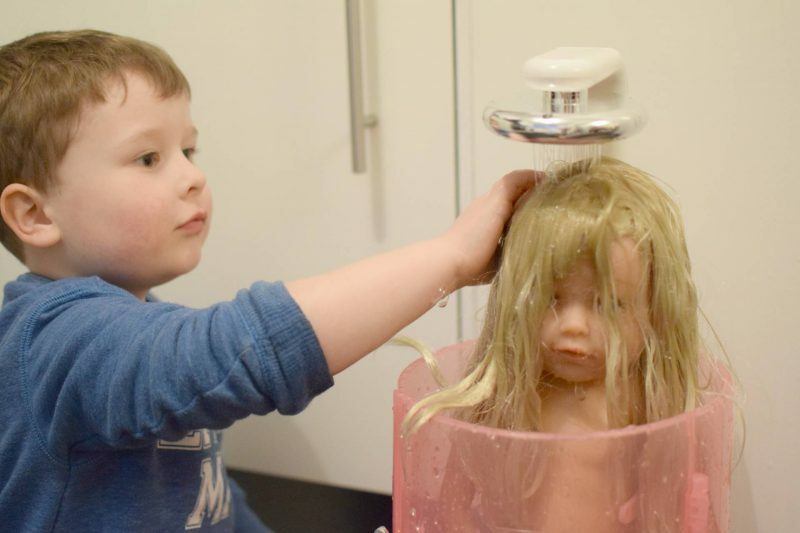 The little man loves his dolls and I’ve shared our love for BABY born before so he was really pleased when we were asked to take part in the BABY born bath time campaign. 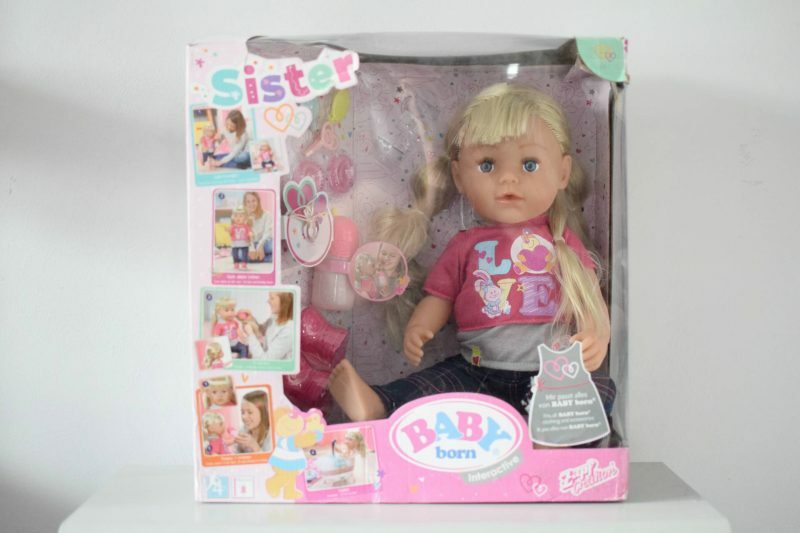 As well as gorgeous new BABY Born Interactive Sister doll he was sent also sent the BABY born Rain Fun Shower. The little man has various dolls and a few accessories but didn’t really have anything he could wash the dolls with, other than the bath! With the Sister doll comes a whole host of accessories, including one brush, three hair clips and two scrunchies. She also comes with a fillable drinking bottle and bracelet. She also has a pretty cool outfit which is very easy to change. Despite the fact she looks older than BABY born, she is the same height, so their clothes are all interchangeable. 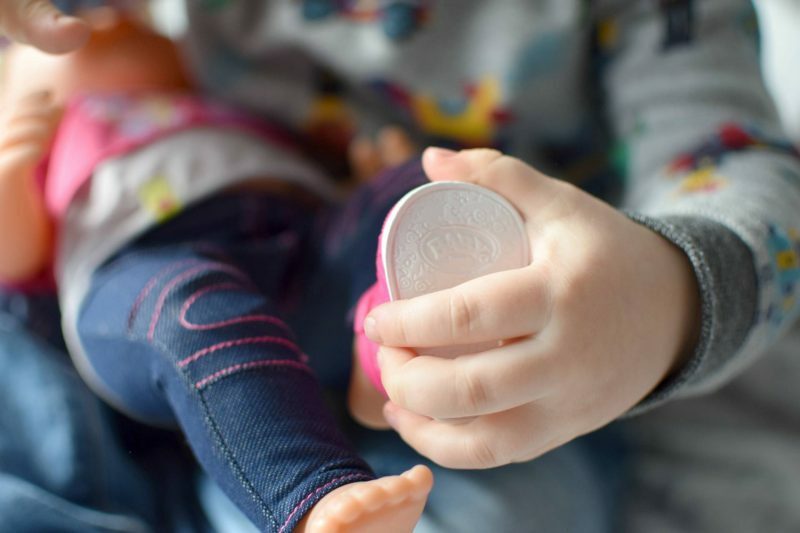 The sister doll can stand up on her own and has very flexible joints in both arms and legs, which means she can she can sit or move any way your child wants. The great things from a parents point of view is that she doesn’t require batteries. She can also cry real tears if her arm is pressed which the little man loves to do ( little monster!). 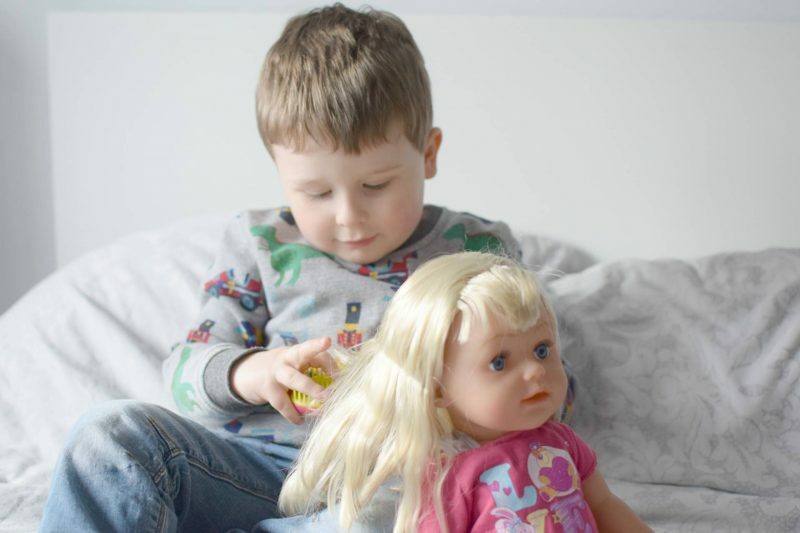 I think from the little mans point of view, his favourite thing about the BABY born sister doll is the fact she has longer length, styleable hair. Since she has arrived he has brushed her hair and tried various ‘hairstyles’ every day and loves to combine this with washing her hair in the shower. It also means I don’t have to sit and endure his over zealous hair brushing! 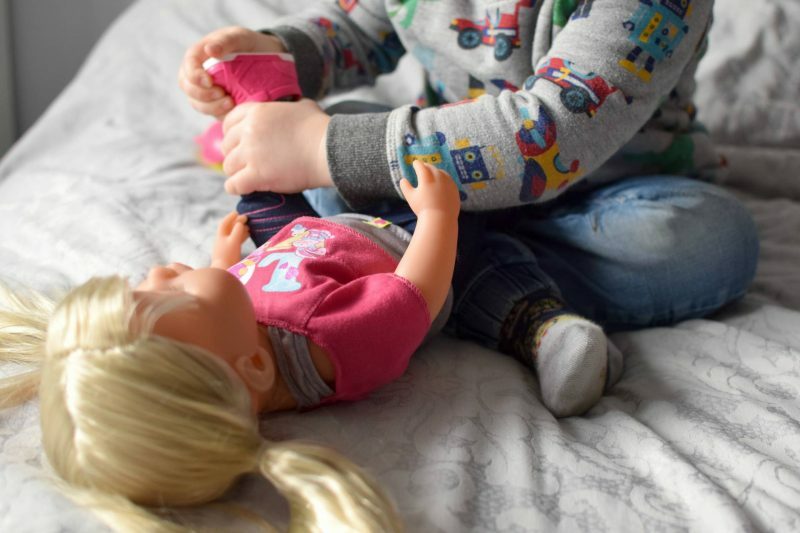 Like the other BABY born dolls, the sister doll encourages interactive play, empathy and helps the child to learn about taking care of something. 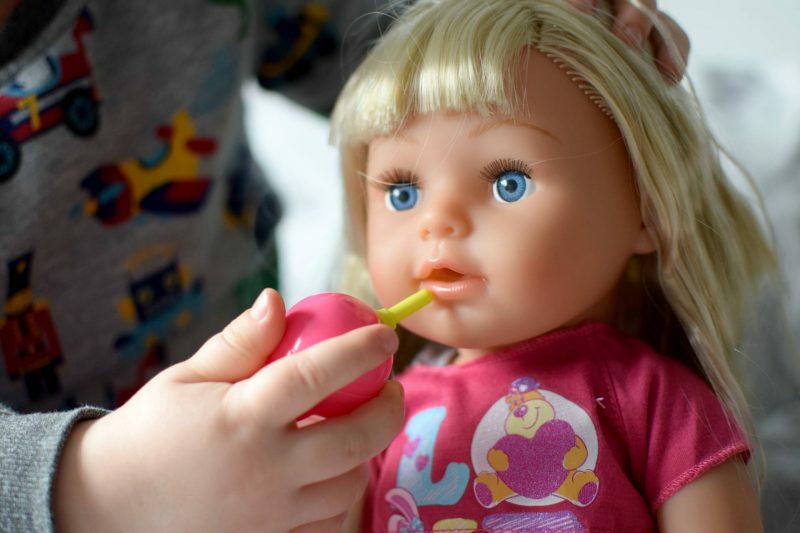 She retails at £49.99 so is on the pricier end of the scale but she is well made, has various fun features and will keep any doll loving child entertained for hours. The Rain Fun Shower is pretty big once put together and it seems quite sturdy. I did have a few issues trying to get the walls of the shower to stay in, but once they’d been slotted together properly, they have stayed together since. Before using, you need to fill up the blue drawer on the side of the shower. There’s a minimum fill line so closing it without spilling some is quite difficult. I would 100% recommend playing with the shower in a dry bath or on flooring which can easily be mopped ( our stone kitchen floor is the best) as there WILL be floods/spillages. 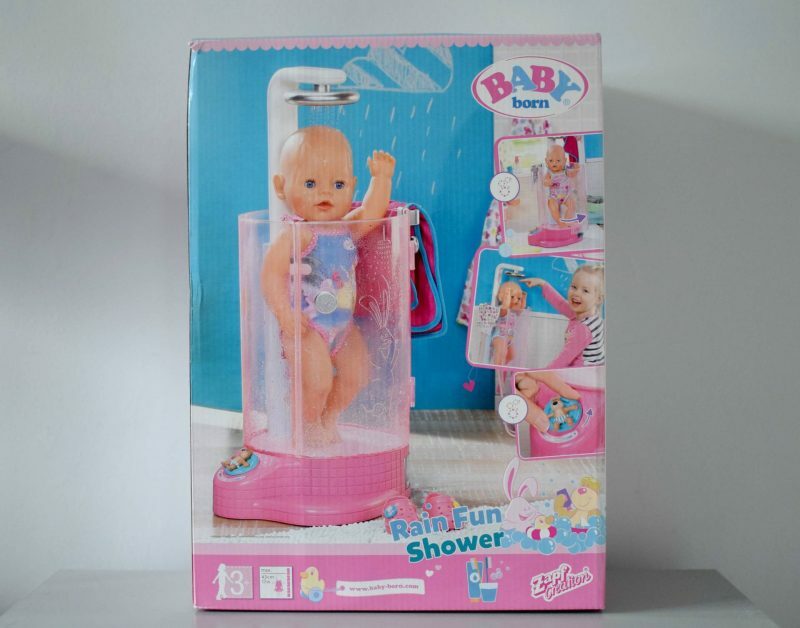 The original BABY born and the sister doll both fit under the shower easily. 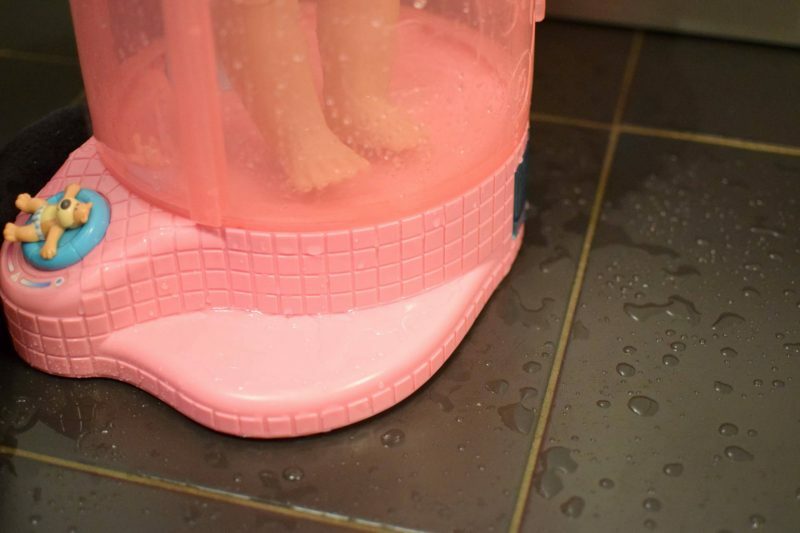 There is a handy clip which clips into the shower and around the doll so they will stand up without falling over. 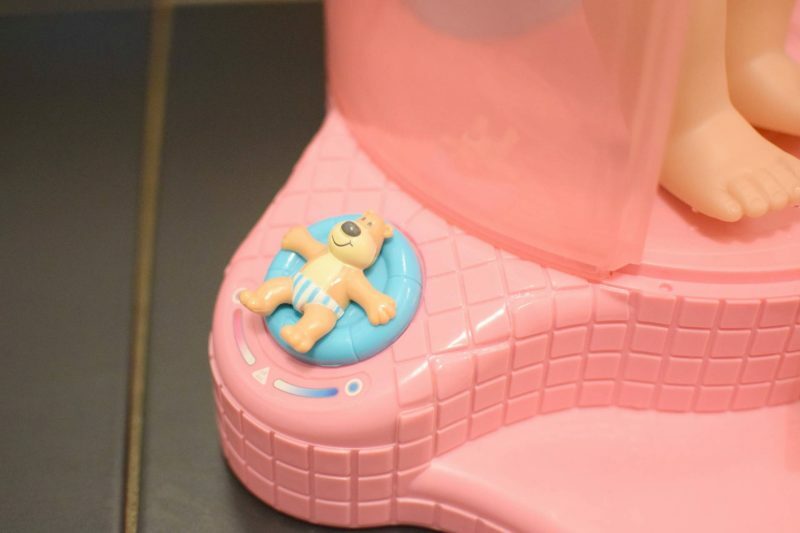 To turn the shower on you use the teddy bear switch and it will run until it is turned off. 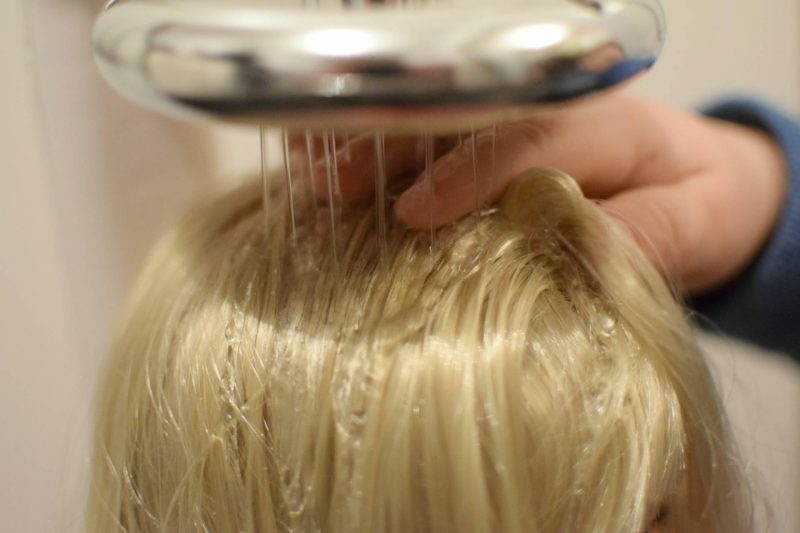 The Rain Fun Shower has opening doors, an adjustable shower head, water flow regulator, and comes with a small towel. 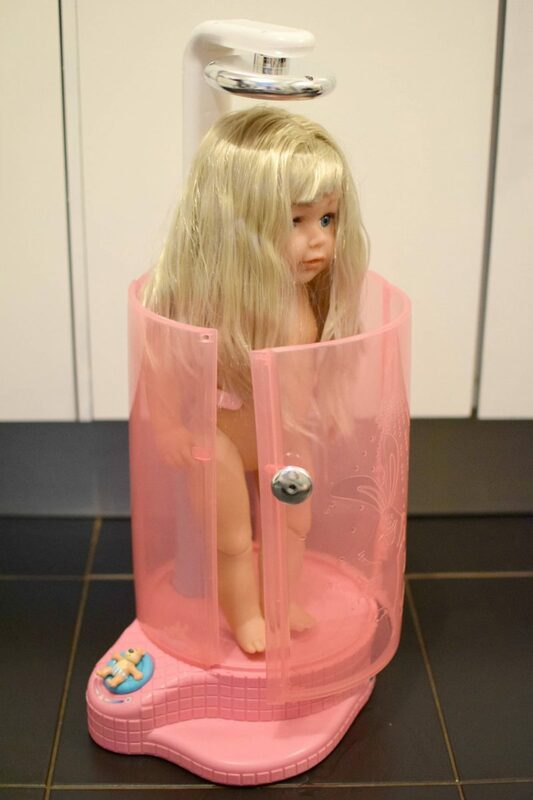 It retails at £42.99 which I do think is quite expensive however, it’s a fully working shower and I’m sure it will be a huge hit with any child that likes BABY born dolls or even those that just like to get wet and messy! 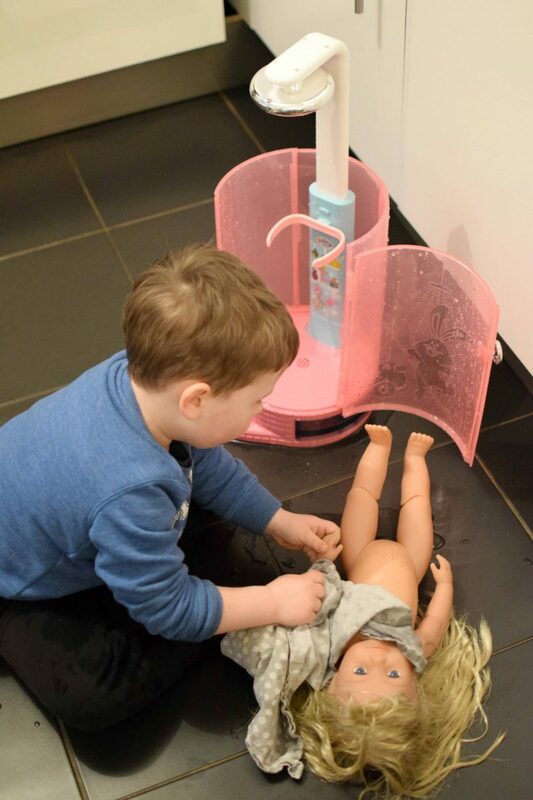 The little man loves washing the dolls hair so it’s inevitable that there will be water everywhere. Thankfully, he’s agreed that she doesn’t need shampoo and conditioner! The Rain Fun Shower is lots of fun for little people but perhaps not for those who don’t like mess! 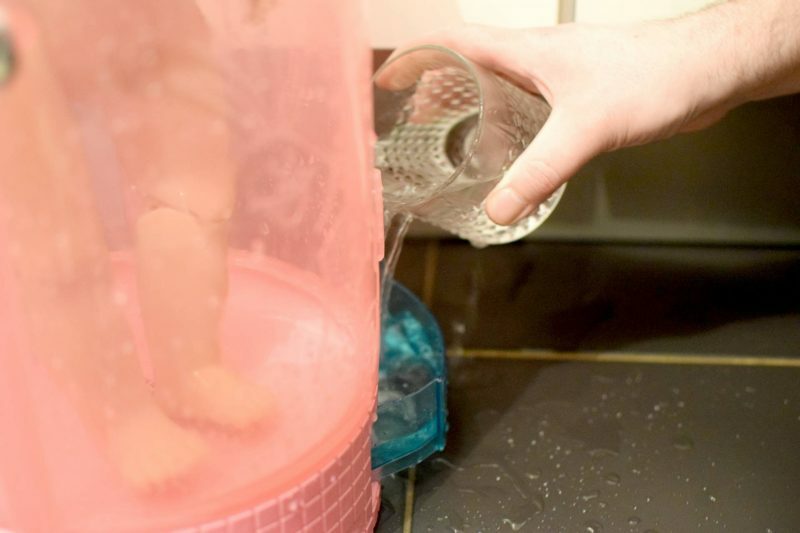 The BABY born sister doll takes an age to drain and dry out if she’s used in the bath but I find that if we only wash her in the BABY born Rain Fun Shower then she is much easier to dry out, so we tend to use our other BABY born doll in the bath and keep this one for just showering. 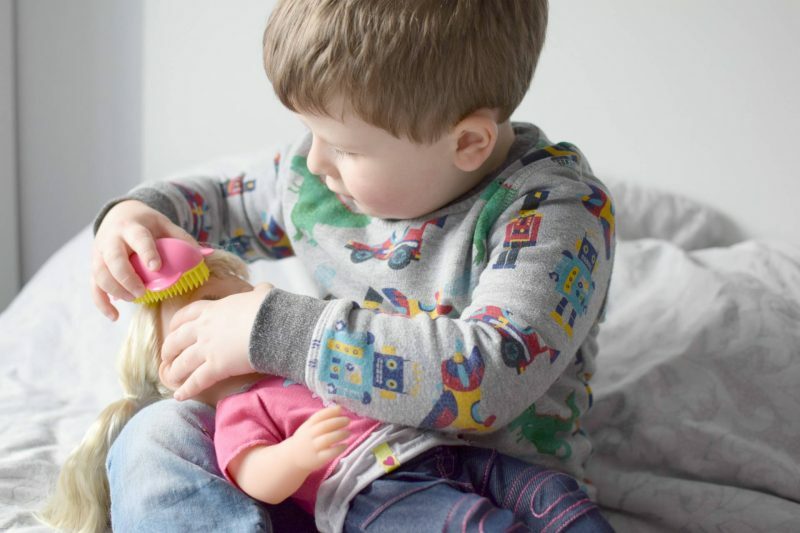 BABY born – the number two large doll brand in the UK – encourages both nurturing and fantasy role-play with a range of dolls and accessories proven to help develop social skills and values. The play themes grow along with a child so the sky is the limit for their imagination. We love the toys and accessories and I feel they’re helping the little man to become a more kind and caring young man. * We were sent the products above in return for an honest review.